Boxing never seems short of compelling storylines, and upcoming fights throughout the summer are no exception. Next on the horizon of notable matches is ESPN’s broadcast of the junior bantamweight title fight between Jerwin Acanjas and Jonas Sultan. This will be the fifth time Ancajas finds himself defending his title, and will do so against a fellow Filipino in Sultan. It is intriguing matchup, but perhaps more so for reasons outside of the ring than inside of it. In addition to being from the Philippines, Both Ancajas and Sultan have fathers who farmed and an older brother who became a professional fighter, and each utilized boxing to punch their ticket to financial stability. Ancajas in 29-1-1 with the bulk of those victories coming via knockout (20 KOs to be exact), with Sultan coming in with a record of 14-3 and 9 Kos. It must be surreal for both men to come from such humble beginnings, now appearing globally on ESPN. For now (this fight may be rescheduled), London is the site of the June bout for the super middleweight title, as George Groves looks to retain the top spot against the newest challenger, Callum Smith. Still recovering from a shoulder injury, it was rumored that Groves, the current title holder, might be replaced by Chris Eubanks Jr. if he wasn’t ready to fight in time, which is not what Smith wants to hear. The latter has expressed his desire to fight Groves, as he is the champion, but it remains to be seen if the World Boxing Super Series is willing to wait on Groves. If betting on boxing matches, one may have to wait to know who Smith will face for sure. June 9th pits Leo Santa Cruz (34-1-1) against Abner Mares (32-2-1) in Los Angeles for a shot at the featherweight title, in a rematch of their 2015 clash, and can be viewed on Showtime, which is appropriate for anything LA-related. 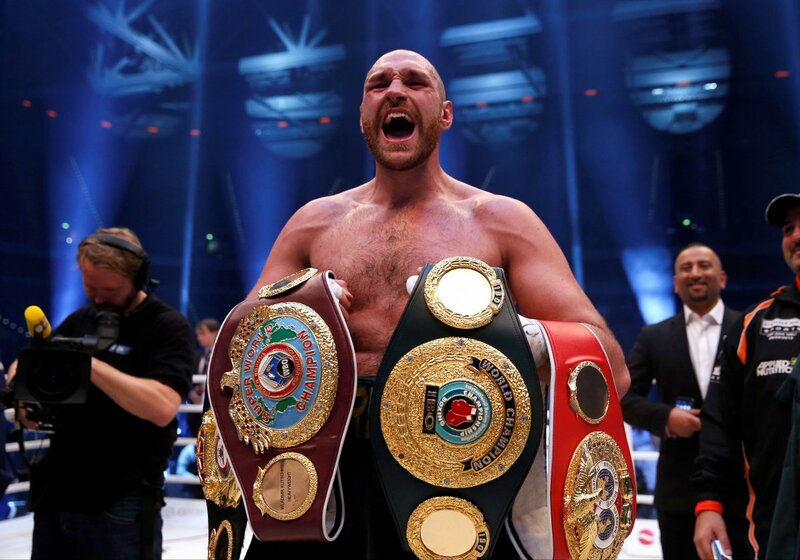 Later on, the heavyweight tilt between Tyson Fury and Sefan Seferi will go down in Manchester, England. Fury (25-0 with 18KO) will be fighting for the first time in over two years, with Seferi (23-1 with 21 KO) having fought four times since the former won his last fight, so it will be interesting to observe whether or not Fury has the stamina to remain undefeated. One day later in Las Vegas, the much-anticipated bout between Jeff Horn and Terence Crawford for the welterweight title will be featured on ESPN with $2.5million on the line. Horn, who carries the moniker “The Fighting Schoolteacher” will be an underdog when he climbs into the ring with Crawford, who has yet to suffer a defeat in his professional career. Despite that, Horn has every right to enter the bout with confidence, having made the quarterfinals of the London Olympics with only four years of boxing experience. Manny Pacquiao returns to the ring in Kuala Lumpur, Malaysia on July 14 to face Lucas Matthysee for the “regular” middleweight title. Now 39 years old but as quick-hitting and powerful a puncher as he ever was, as evidenced in recent training session videos, Pacquiao’s highly-decorated and famous career is winding down, but his fanfare is not. An underdog against Matthysee, who Manny has lauded for his knockout prowess, it is a role the Pacman has found himself in before, and one he embraces. If victorious, this would be an unprecedented 60th career victory in route to another world title for one of the best to ever box.